While CTC-based diagnostics have been developed for a variety of adult solid tumors, these types of tests have yet to be developed and evaluated for pediatric solid tumors, including brain tumors. 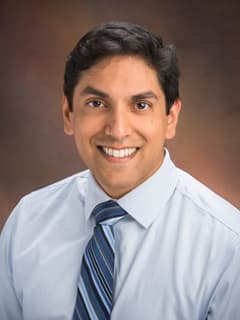 Researchers at the Center for Childhood Cancer Research, including Amish C. Shah, MD, PhD, are evaluating CTCs and cell-free tumor DNA in blood and cerebrospinal fluid (CSF) from pediatric brain tumor patients to develop non-invasive tests. The goals of this work are to monitor, in real time, whether or not specific treatments are inhibiting tumor growth and disease progression. They’re also hoping to improve diagnosis of brain tumors and assess the effects of different regimens on these tumors.